dust free keyboard: Daylight Hedgehogs and Snuffling in the Bushes. Daylight Hedgehogs and Snuffling in the Bushes. What are the chances - sitting in the garden at 8.30pm last Friday night, with bf, when a hedgehog appears? As luck would have it, bf was trying out a new long lens, photographing garden birds on the bird feeder, using his camera that takes stills and video. Here's the footage. I posted the footage in the Warrington Hedgehog Forum on facebook . 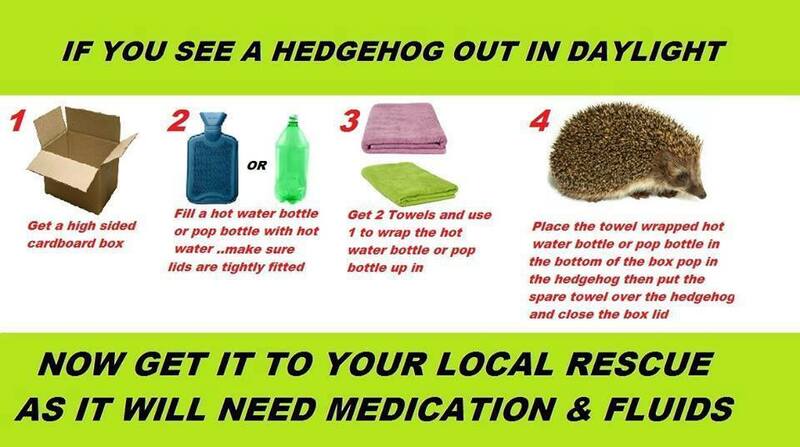 I'm aware that if hedgehogs are out in daylight, it usually means that there is something wrong with them, and they should be taken to a local rescue to be checked out. This hog looked quite fit, and given that it's mid summer it was difficult to say whether 8.30pm was too early for it to appear. Friday night was quite cold and dark for the time of year, so maybe the hog was just a bit confused and woke too early. The hog didn't appear until 10.15pm by which time I'd provided an evening meal to a few mosquitoes; spotted a frog behind some flower pots; a mouse in the hedge and some bats overhead. A tranquil balmy evening - better than telly. I did manage to catch and weigh the hog, which weighed in at 750g which is pretty healthy, so no cause for concern. I also took the advice of local hog expert and put a very small identifying mark on this one, using some apricot white matt emulsion paint dabbed lightly on some prickles, so now I'll recognise it if I see it again. I've decided to call it Apricot. Update: I saw this hog throughout the summer, after dusk, not during the day. It was a regular visitor to the feeding box. I also spotted it the following year, 2016 - again in mid summer, after dark. The paint mark still visible, but quite faint. So, it would appear that in this instance we did the right thing; the hog appeared to be out a little early, at a time of year when the days are at their shortest. I've also been out recording the snuffling sounds that hedgehogs sometimes make. If you have ever heard this loud snuffling noise out in the garden late at night, you could be forgiven for thinking that it's a big scary creature hiding in the bushes. The sound can be quite loud. I've read that it is usually a female hog responding to the advances of an amorous male hog during the mating season. The males will circle the females at this time, trying to win them over. I've witnessed hedgehogs checking each other out and making snuffling noises, so I usually just back off and head indoors leaving them to it. There's a picture of two cheeky looking hogs in this slide show, eating a pile of worms. Minutes prior to the picture being taken they were having a bit of a fight behind some flower pots, but with no snuffling noises. Peace broke out once I tipped a load of meal worms onto the path. NB. It's not a good idea to feed meal worms to hogs too often. Although the hogs love them and will eat them in preference to almost anything else, the worms are not very nutritious. Too many meal worms in a hog's diet can result in calcium deficiency. Cat biscuits are much better for them. "A tranquil balmy evening - better than telly." Indeed. Many times. You sing it, I'll play it.